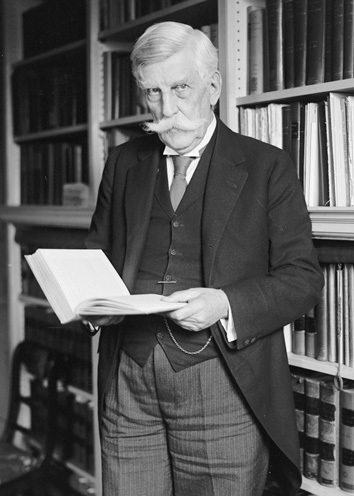 In 1919 Oliver Wendell Holmes changed his mind and in so doing transformed the law of free speech. Before his famous dissenting opinion in Abrams v. United States, the Supreme Court justice had shown little interest in a speech-protective approach to the First Amendment. That same year Holmes had authored a trilogy of unanimous decisions for the Court upholding the criminal convictions of Philadelphia socialist Charles Schenck, Missouri newspaper publisher Jacob Frohwerk, and perennial Socialist Party presidential candidate Eugene Debs for protesting America’s involvement in World War I. This was in line with the abiding tenet of Holmes’ overall constitutional philosophy: a fatalistic (some say nihilistic) deference to the prerogatives of the democratic majority, no matter how wrong-headed the majority might be. When Abrams came before the Court in the fall of 1919, it would have been reasonable to expect Holmes to view the case through the same lens. 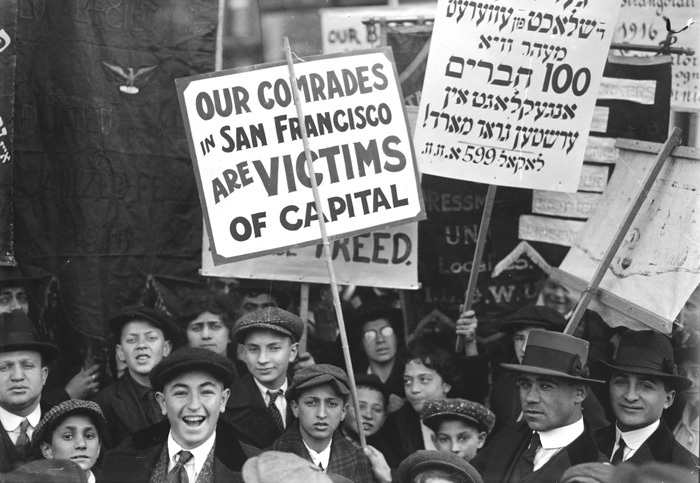 The defendants were five Russian-born Jewish anarchists prosecuted for distributing leaflets in New York City (both in English and in Yiddish) urging workers’ strikes at munitions factories. 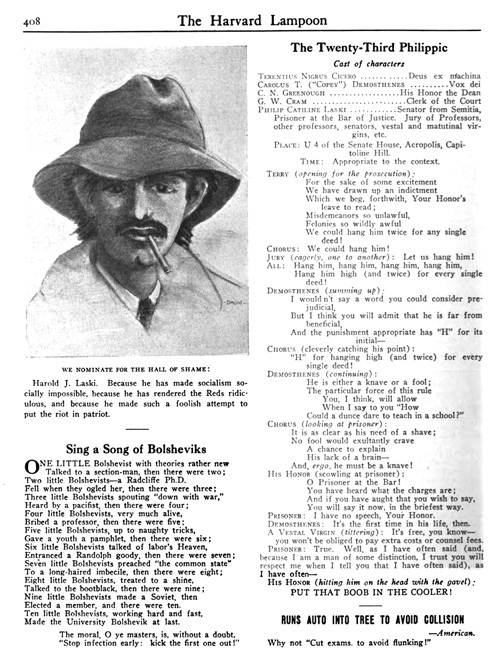 Targeted at the Wilson administration’s opposition to the new Bolshevik government in Russia, the leaflets nonetheless were distributed while the United States was at war with Germany and were deemed a potential interference with the war effort. In Red Scare, post-armistice America, the Abrams defendants could expect little sympathy in the courts. A 7-2 majority of the Supreme Court showed them none, affirming their convictions and rejecting their First Amendment arguments on the strength of Holmes’ reasoning in the Schenck, Frohwerk, and Debs cases. Yet Holmes himself—joined by Justice Louis Brandeis—disagreed. “Persecution for the expression of opinions seems to me perfectly logical,” the seminal passage of Holmes’ dissent began. “But,” it continued, “when men have realized that time has upset many fighting faiths”—in other words, that the persecutors are often proven wrong—“they may come to believe even more than they believe the very foundations of their own conduct that the ultimate good desired is better reached by free trade in ideas—that the best test of truth is the power of the thought to get itself accepted in the competition of the market.” Ultimately (as if to prove the validity of its own major premise), Holmes’ dissenting opinion won acceptance in the marketplace of legal ideas and came to represent the majority view of the Supreme Court. Why Holmes changed his mind has long been a source of fascination and puzzlement for legal scholars. In The Great Dissent: How Oliver Wendell Holmes Changed His Mind—and Changed the History of Free Speech in America Thomas Healy, a professor at Seton Hall University School of Law and former journalist, has given us a highly readable and thought-provoking account of this important moment in American constitutional history. 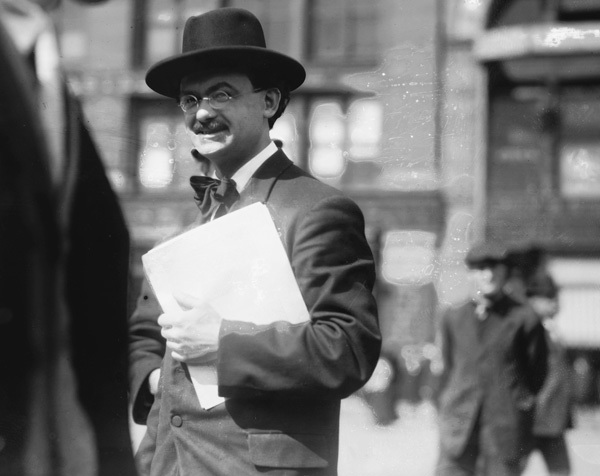 Like scholars before him, Healy draws heavily on Holmes’ contemporaneous correspondence with several progressive intellectuals who, as prosecutions of wartime protestors mounted, sought to move Holmes toward a more liberal position on free speech. Prominent among these was the British- Jewish political scientist Harold Laski, then only in his mid-20s and teaching at Harvard. (Laski would go on to briefly chair the Labour Party after World War II and clash with Foreign Secretary Ernest Bevin over the latter’s anti-Zionist Palestine policy.) It was at Laski’s suggestion that Holmes read a new biography of Adam Smith and re-read John Stuart Mill’s On Liberty. These works, according to Healy, inspired the intellectual rationale of the Abrams dissent and in particular the now-familiar metaphor of a marketplace of ideas where free speech facilitates the discovery of truth, much like free trade facilitates growth in economic markets. Yet in Professor Healy’s retelling, Holmes’ transformation was as much a change of heart as a change of mind, and for that Laski bears even greater responsibility. The decisive factor in that transformation, Healy suggests, was a campaign to banish Laski from Harvard for his left-wing views. In the fall of 1919, Laski created an uproar by vocally supporting an unpopular strike by the Boston police force. Denunciations from the press, the Boston establishment, and wealthy Harvard alumni followed, along with calls that Laski be fired. A few days before Abrams was decided, Laski asked Holmes if he would write an article on toleration for The Atlantic Monthly, which would aid Laski’s defense. That request was made at the suggestion of future Supreme Court Justice Felix Frankfurter, another Jewish Holmes acolyte then teaching at Harvard. For what had been merely an abstract question for Holmes over the past year was, suddenly, concrete and personal. The face of free speech was no longer Eugene Debs, the dangerous socialist agitator. It was his good friend Harold Laski, and Holmes’s views shifted accordingly—and dramatically. Holmes never wrote the article for The Atlantic Monthly. But Healy contends that he wrote his Abrams dissent as a kind of substitute. Contemporaneous evidence from Holmes supports that contention. In a November 1, 1919 letter to Frankfurter, Holmes explained that although he was “too busy” to write the proposed article, “Just now I am full of a tentative statement that may see light later on kindred themes to your subject.” In fact, he had just completed his Abrams dissent and sent it off to the printer. Holmes, whose views of human nature were shaped by the brutality of his Civil War experiences, was also deeply influenced by Social Darwinism. “The real Holmes,” as he was unkindly judged by the late Yale law professor Grant Gilmore, “was savage, harsh, and cruel, a bitter and lifelong pessimist who saw in the course of human life nothing but a continuing struggle in which the rich and powerful impose their will on the poor and weak.” Black causes did not fare particularly well before Holmes, who voted repeatedly to uphold segregationist legislation. Yet Holmes, himself agnostic in matters of religion, seemed to treat Jews as equals and react adversely to discrimination against them. The Abrams defendants were also Jewish (although, like Laski, non-observant), and anti-Semitism infected their case as well. Although their trial took place in federal court in Manhattan, the presiding judge was a pinch-hitter from down South, Henry DeLamar Clayton, Jr., brought in to help out with a case backlog. An “Alabama bigot” and “apologist for slavery” as described by Healy, Clayton could not conceal his contempt for the cadre of Jewish revolutionaries before him, who had arrived from Russia only a few years earlier. When Jacob Abrams, testifying in his distinct Yiddish accent, referred to “our forefathers of the American Revolution,” Clayton, a fifth-generation American, immediately cut him off. “Your what?” he asked incredulously. “Do you mean to refer to the fathers of this nation as your forefathers?” Annoyed at defense lawyer Harry Weinberger’s persistence in a line of questioning, Clayton ordered him to sit down, complaining “the Lord knows I can not out-talk a Jew.” At sentencing, Clayton contrasted the defendants with “our good, free American Jewish citizens” who understood the virtues of capitalism, offering the irrelevant aside that previously “the Irish had all of the offices and the Jews had the money,” but now Jews “actually have taken some of the offices away from the Irish.” Clayton sentenced Abrams and two of his co-defendants to the maximum prison term of 20 years. Legal scholars have long struggled to make sense of Holmes’ Abrams dissent, both because of its seeming inconsistency with Holmes’ prior free speech opinions and because of its doctrinal incoherence. The opinion advances a quintessential liberal humanist goal—toleration for the opinions of others—while seeming to lack a liberal humanist soul. Rather than proclaim any individual right to self-expression, Holmes instead emphasized the societal interest in promoting the search for truth in a marketplace of ideas. Given Holmes’ abhorrence of natural law doctrines centered on individual rights, that is not surprising. But it is hard to square with Holmes’ longtime pragmatic epistemological stance, which held that “truth” comprises nothing more than what the dominant majority believes. For all its philosophical abstraction, the Abrams dissent radiates an undercurrent of empathy. Holmes himself probably would have denied that. But he too sensed that his stated reasoning was incomplete, acknowledging in the last sentence of the dissent: “I regret that I cannot put into more impressive words my belief that in their conviction upon this indictment the defendants were deprived of their rights under the Constitution of the United States.” What was it that Holmes intuited but was unable to articulate? The answer may well be that Holmes felt a very human impulse to protect victims of those prejudices—like anti-Semitism—that to him were incomprehensible. 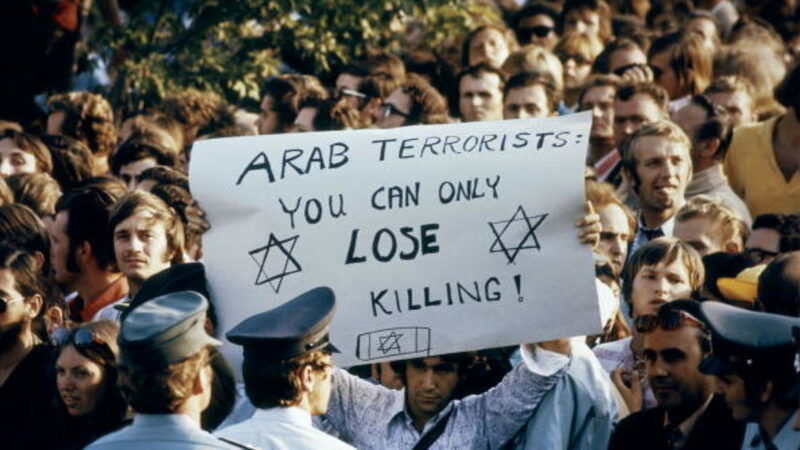 Are they for the Jewish state or against? A new book from Israel distills recent scholarship on the haredim.